In 2009 I self-published Beyond the Flower of Life. I encountered heartbreak three years earlier when the publisher of this well-known publishing house rescinded its original contract six months after the signed contract and three months after manuscript submission! I discovered at an early age that I was connected to the stars. Early communication with my unseen watchers was clear to me, even though I do not know how I might have known these things. I knew that I was being watched by both forces that loved and supported me, but also those opposing me. It wasn’t paranoia, but awareness. Our farm family did not watch much TV except for occasional Sunday evening news shows like “60 Minutes” so I know these ideas were coming from an inner knowing, and not an external source. I did grow up with good self-esteem working on the farm, which has helped me throughout my life. I often knew things that no one else knew. My mother also had a gift of intuition and told my father one morning that she dreamt grandma, who lived next door, died of a heart attack. It came true that morning. As an adult my father wanted to protect me by encouraging me to keep my experiences to myself! Because my father insisted that we research and prove our beliefs and ideas, there was always open discussion at our family dinner table. Ideas were never dismissed categorically. Books and discovery were encouraged. I was a good student and math was my favorite subject. I was extremely curious about everything, being told that I asked deeper questions than most students. As a teenager this led me to seek answers within. I was one of six children and knew from my early years that I wanted to serve God. Initially, being raised Catholic I thought it meant joining a religious order. Our family was extremely close to my dad’s uncle who was a priest and his sister, my aunt, who was a nun. High school brought on hormones and interest in boys, and even though I had been accepted into the convent after graduation, at the last minute I changed my mind. Introducing “two-fers.” No, not pizza! In college I met and fell in love with someone my parents disapproved of. They did everything in their power to break us up and finally convinced me to change colleges to get me away from him. Walking away from my first big love, I turned to God and my angels for advice. This was one of the first tools they taught me, “two-fers” I called it. My angels told me every time I had a sad or grief-filled thought, to follow it with two positives along the same lines. So, when I hated my new school I forced myself to name two good things about my new college environment. I followed the traditional route and got married to my new college sweetheart some years later. Initially I helped my husband by working full time while he pursued a career in show biz. At a certain point he gave up his pursuit and joined my parents in their family business. I also worked there as we grew our family to have four amazing sons. I joined the Unity church, frustrated that my toddler children were expected to sit still at Mass and couldn’t get any religious education. Pretty quickly I was tapped to teach Sunday School, and as time went on became superintendent of the Sunday School program. This led to numerous opportunities and experiences with teaching spiritual ideas. During this time, I explored Science of Mind and many other alternative/new thought organizations. I took many courses and joined study groups. As the children got older I was able to lead study groups, first in my home and then in bookstores and other centers. As my sons moved out of the house I was able to spend more and more time devoted to spirituality and self-help by attending workshops and many training programs. I had many spiritual awakenings in the trainings at that time. I studied with a group of Essenes, completing their ministerial training. I also had been a long-time member of the Cayce study group, A Search for God. All of this culminated in attending the MerKaBa workshop in 1994. My husband of twenty-five years wanted a divorce, and I was ready for transformation. My biggest influence has been my inner work with MerKaBa Meditation. I was certified personally by Drunvalo in 1995. 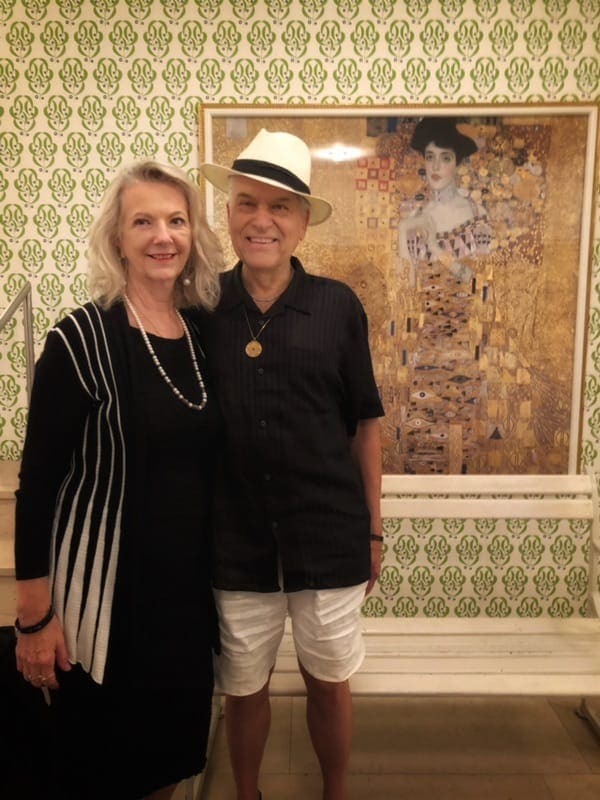 When Dru passed leadership of the facilitators program over to Flower of Life Research institute, I was invited to be on its board of advisors. I remained on its board until they closed their doors in 2012. In 2010, I was guided to create a DVD of this body of knowledge. I renamed it the “Classic MerKaBa” for the DVD to teach it because the original formula is too good to throw away! This was the beginning of a brand new phase of my spiritual teachings. I began in earnest to teach people how to connect with their Higher Self. I was also teaching manifestation and the Advanced Flower of Life workshop often giving three or more workshops in each city I visited. My love of the sacred inner knowledge and for geometry had finally merged. Initially I kept my “day” job to cover college tuition for one of my sons, eventually being able to pursue it full time. I began to be invited to Canada, then to Scotland, then Bulgaria, then Japan, Australia and China all including additional seminars and trainings and Akashic Records work. Later I founded Akashic Records International, an organization of certified Akashic Records Guides. 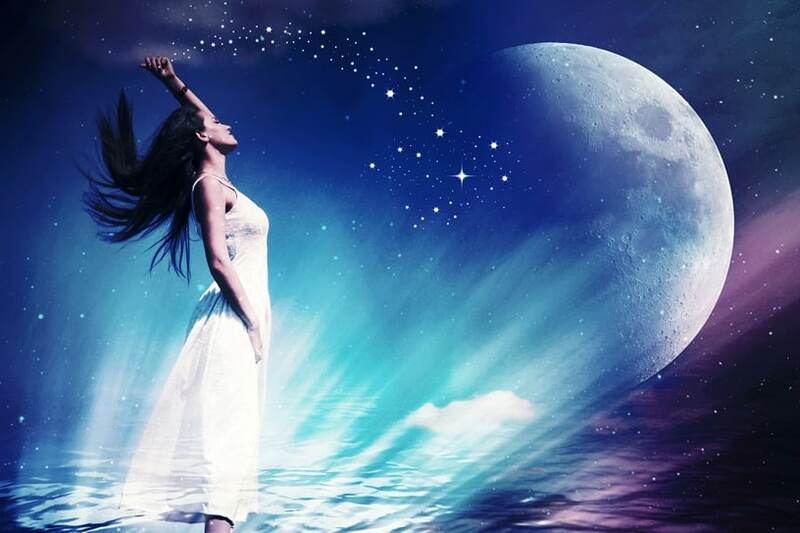 I have always understood the meanings of subtle energies, dreams and experiences. All I had to do was ask in my mind, and the answer would float in. In workshops this became even more pronounced. I now believe that I had no resistance to beliefs that could bedifferent because of that early open environment. I also discovered that I was a natural teacher and began teaching what I knew, not just what I had learned from working with the MerKaBa. This changed everything. Finally, I gave myself permission to share all I knew. Over the years I have been told that I was a “natural” Sacred Geometry teacher. I now tell students I may have been a student in Pythagoras’ school. I also was able to see deeper connections and explain meanings to the sacred geometry that I was teaching. Much of this is documented in Beyond the Flower of Life. 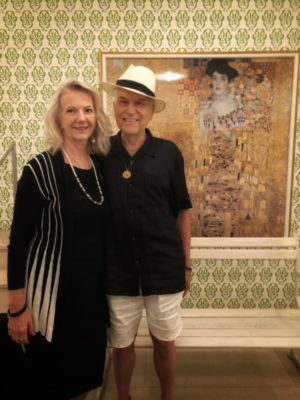 On my first workshop in New York City, I had a spontaneous kundalini awakening. This awakening created a personal connection to Lord Metatron and the surrender of the personality. I was filled with a drive to support and assist the students with their own personal activations and understandings. I was also given greater understanding of everything I was teaching. Along the way I worked with my Higher Self to develop an accurate tool to access the Higher Self with 100% accuracy. This was featured in last month’s The Echo World magazine. I believe this is one of the major keys to ascension. It is also a fabulous way to “get along” and get what you want in life. If you’ve not seen this article, it’s so worthwhile–please find and read it. It can be found online as one of my blog posts. The freebies were only good for the month of August 2018. 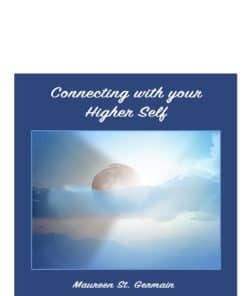 My teaching on the Higher Self Connection is a direct and pure method that allows anyone to have 100% accuracy. It is a game changer, for you to achieve total mastery of yourself and your life. I teach it in every class, and it is in every book. It is required that people who train with me and get certified, learn and use this method. It has completely directed my life since 1995. I was invited to teach in countries all over the world. I was the first person to introduce the MerKaBa and sacred geometry to Bulgaria. When I visited Bulgaria on the first of many visits I had several mystical experiences in the churches that I visited. The first time I came upon the painting of St. Boris, I stood frozen in front of it; Boris was the king who invented the Bulgarian language. His plan to create an authentic Bulgarian written language was accomplished by inviting two renegade abbots to move to Bulgaria and assist with the creation of the new written language of Bulgaria. Later two other people approached me with the information that I was King Boris. I also began opening the Akashic Records and founded Akashic Records International shortly after receiving a permanent guide and a message telling me that I was being given access to a dimension that had been closed to humanity. I began teaching Akashic Records to students and opening them for clients worldwide. I also became affiliated with the Edgar Cayce center in New York city. I have been a member of the ARE (Association for Research and Enlightenment, the Edgar Cayce organization) since my 20s, having read Cayce’s life story as a teenager. I was a member of a Search for God study group as well. Later I served on the NYC board of trustees for over four years. This was another wonderful opportunity for me to assist organizations (with my trade association experience) as well as in the spiritual growth of students and the use of the Edgar Cayce resource materials for healing and spiritual growth. 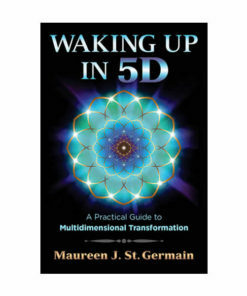 This meditation found its way to me and is featured in Waking Up in 5D. It is also available on a CD or downloadable zip file. 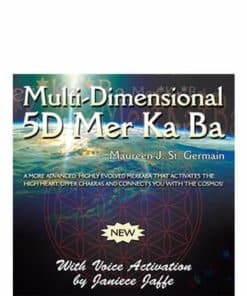 The 5D Multi-Dimensional MerKaBa is the most powerful MerKaBa yet available to man, based on a double torus activation meditation. Those who use it have reported back to me that they know it activates and achieves higher consciousness for them. They feel it, see it and experience results that prove to them how powerful it is. It truly takes you, the meditator to the next level. Don’t take my word for it, look at some of the feedback on it. In my coursework and private sessions, I am continually in awe of the transformations and experiences of the clients and students. I consider myself a facilitator – one who holds the vibration for each individual’s activations. I do not believe I activate anyone but serve as a conduit for the person’s own spiritual mastery, and that I serve as a bridge for their own use of free will. It is my honor to do so. Maureen, it is so fascinating to hear about your journey! I appreciate knowing more. Thanks.